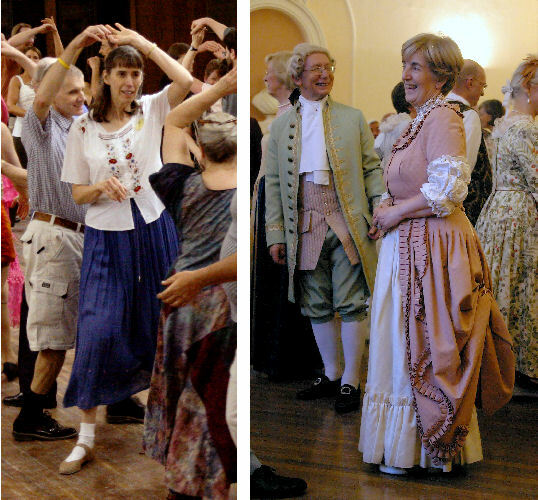 This is the first year of what we hope will become an annual event: a between-Christmas & New Year extravaganza that brings together the lively and enchanting dances of the Old World, with the zesty, whirling dervish contras of the New World. It will be the perfect cure for the Christmas excess, starting at tea time on Monday and finishing after breakfast on Thursday. In order to bring you the best of both worlds we have hired the incomparable dancing master, Andrew Shaw. One of the most able, one of the most talented teachers of dances in England, Andrew is well known in both America & England for the precision of his teaching. His interest in the dances of the late 17th, early 18th century, especially those composed by Nathaniel Kynaston, has resulted in the publication of four dance collections. He will be joined by Englands part time "resident alien" -- the transplanted American Contra Dance caller whose enthusiasm is so infectious. When Henry Morgenstein is on stage calling, exuberance exudes from him as he brings to England the best & newest contras he has collected during his six-months-every-year residence in America. The music will be provided by "Notorious", a joyful American band. 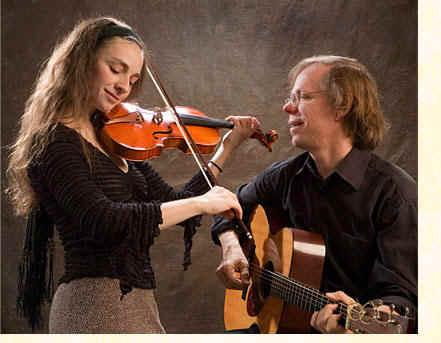 Lauded as "sparkling" and "exhilarating", Notorious musicians Eden MacAdam-Somer and Larry Unger present a thrilling musical experience in genres that span many continents. With Eden on fiddle and vocals and Larry on guitar and banjo, their music lights up the hall with rhythm and sonority. The calling for the 3 evening dances will be shared by Andrew & Henry. There will be 2 workshops on each of the 2 mornings: Old World dances led by Andrew, New World Contras led by Henry. In the afternoons, Jacqui Morgenstein will teach Irish Sets to Steve Hunts playing. She has taught in Texas & Michigan, Lichfield & at Halsway Manor. She is so pleased when, years later, she learns that people she introduced to Irish sets have carried on dancing the sets she loves so much. To book, contact Henry Morgenstein at +1-231-946-4782 or 023 8094 1093 after 3rd Nov. He refurbished the Garden Room which contains a top quality 20 foot by 40 foot Maple Sprung Dance Floor -- one easily large enough to accommodate the 40 Americans & Brits who we hope will come to this three-night, two-day event. The food, served in a large, light and bright restaurant, is of a high standard. 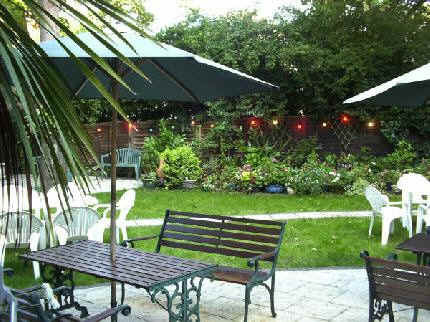 The owner enticed his former executive chef, Chris Goodwins, to join him in his new venture. 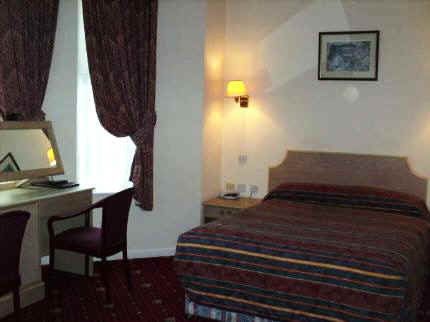 By the time we go there, they should have finished refurbishing all of the 40 en-suite bedrooms. 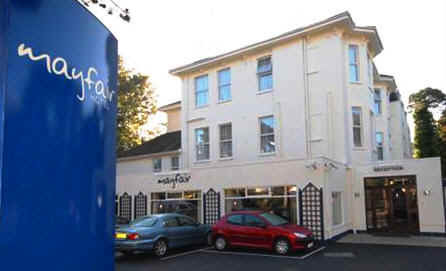 The location of the Mayfair is ideal for visiting the town's vibrant and cosmopolitan shopping areas. With plenty of stylish cafes and restaurants, and high calibre West End shows, Bournemouth has enough diverse venues to make it the entertainment capital of the South Coast - and all that is within walking distance of the hotel.